"Think about what you want to buy in terms of the hours it took you to earn that money." We recently asked members of the BuzzFeed Community to share their budgeting and money-saving tips. Here are some of the best responses. 1. Use the 50/20/30 method to break down your budget, so you know exactly where your money should be going every month. "Basically, you use 50% of your income for what you need (bills, rent, and things you have to pay every month), 30% for whatever else you want, and 20% for your financial goals (like savings or paying down debt). It does require math upfront to figure out what the numbers are for you, but after the set up is done you don’t have to do anything extra and it will be the same every month unless your income changes dramatically." 2. Plan a weekend once a month during which you can't spend any money. "Clean your apartment, go to the park, or find a free event to attend if you want to socialize — just don’t let yourself spend any money! This can end up saving you literally thousands over the course of a year if you’re someone who tends to go out every weekend." 3. Make your big purchases at thrift or consignment stores so you can buy quality stuff for cheap. "I've bought a bedside table for $12, a Red Sox jersey for $4, and a pair of brand new (tags still on!) Steve Madden heels for $10. There's no shame in thrifting!" You can buy and sell your stuff really easily on ThredUp. They'll even send you custom goody boxes based on your style if you want to shop but hate to hunt! 4. Set up a budget in the Mint app so you get an alert if you're getting close to or have exceeded your budget. In Mint, you can add all of your credit or debit accounts so all of your spending shows up in one report and you can utilize the feature that helps you set and track a budget. Get it for free from Android here or iPhone here. 5. Think about what you want to buy in terms of the hours it took you to earn that money. "Most of the time, I'll decide against buying something useless." 6. Meal prep so you aren't blowing all of your cash on lunch or getting take-out because you're too tired to cook. "It takes a while to get in the swing of it, but it can save you some serious cash! Meal prep, stick meals in the freezer, or just make a double portion of your dinner. I invested in a nice set of containers to help you get excited about my meals." Get a week-long meal-prep plan if you have no idea where to start here. 7. And cook broth, black beans, and pasta sauce in bulk so you can pull it out of the freezer whenever you need it. Learn how to make a veggie stock out of scraps here. 8. Set up a separate checking account for spending money so you don't accidentally eat into the cash you need for bills. 9. Schedule your reoccurring charges to hit the day after you receive your direct deposit so you don't spend it on anything else. "I also set a certain amount to auto-transfer to my savings every week." 10. 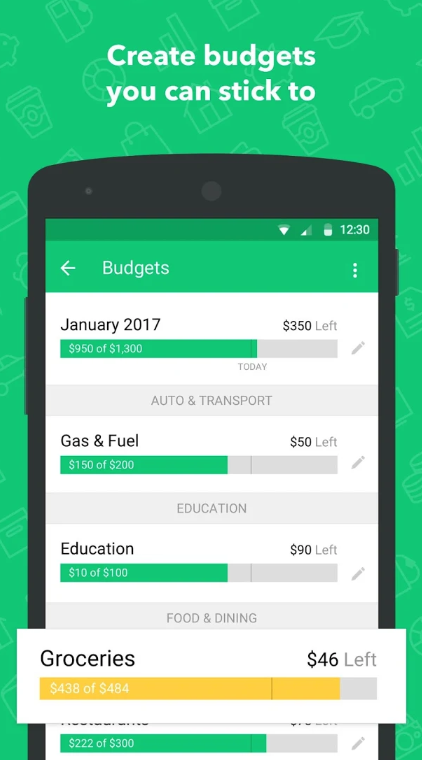 Break down how much you actually have to spend in the Daily Budget app. 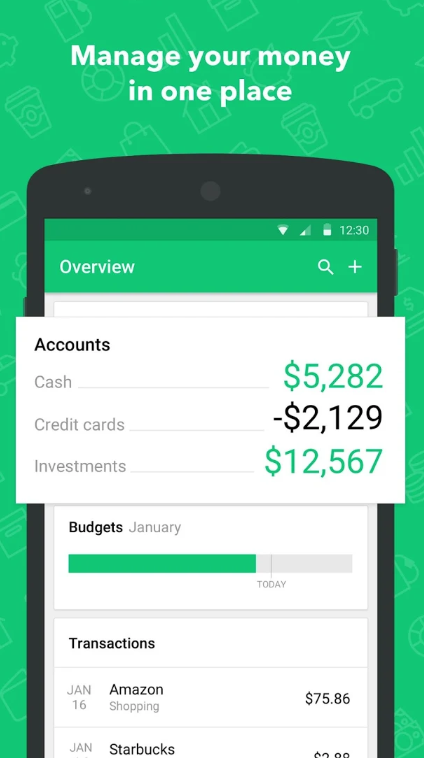 "After inputting my salary, recurring expenses, and desired saving amount, the app breaks all of those numbers down into a — you guessed it — daily budget. It has been SO helpful and I've saved significantly more $$ than I would have without it. The $10 expansion to access all of the features is well worth it." Get it for free from iTunes here. 11. Keep the amount you budget for discretionary spending in cash — it'll be way harder to spend actual physical money when you're not just swiping a card. "I give myself a certain amount of cash — for food, clothing, gas, etc. — each month so I actually see what I have to spend until I get my next pay check. I need to have actual cash in my hand to track how much I'm spending — it doesn't feel like I'm actually spending when I'm using a card." 12. Move whatever you haven't spent during the pay period into your savings account. 13. Use a prepaid grocery card if you're always overestimating how much money you have to spend on food. Many grocery chains offer reloadable gift cards so you can really restrict how much you purchase. Some of them also offer additional rewards. 14. Or grocery shop online so you know how much is in your cart and there are no surprises at the register. "A lot of big retailers offer 'order ahead, pick up curbside' or just flat out grocery delivery services. This saves time and the extra money you would spend on impulse purchases. Not to mention you don’t have to spend time in-store doing the math in your head to make sure you don’t spend too much." 15. Set a different budget "challenge" every month so you're more aware of your impulse buying. "January was 'no new stuff' month, February was 'no eating out' month, March was 'no fast food' month. Even when the challenge was over, we bought less junk, cooked at home more, etc. Now we have a savings account with a few months’ salary in it!" 16. Set up daily balance alerts from your bank so you're never in danger of overdrafts. 17. Get help from a financial planner if you're really struggling to budget. "My fiancé and I finally went to see a financial planner after years of ending every month just praying there were still a couple of dollars left in our bank accounts. It was LIFE CHANGING. By the time we got to her office for the appointment, she had multiple Excel docs that told us EXACTLY how much we could actually afford to spend in a month, how much we could realistically save, and how much we should be spending on our student debt. Less than a year after meeting with her, we had over $10,000 in our joint checking thanks to her simple plan. For us, that’s big! It’s not so much about budgeting line by line. Rather, she clarified for us how much we could actually spend on discretionary items per month." 18. Commit to writing down every dollar you spend in a notebook for a month or two to see where your money goes. "It's extremely eye-opening! A few bucks here and there really adds up." 19. And shop in bulk whenever you can. 20. Use your credit card as often as possible to get rewards, but make sure to pay your bill IN FULL every month so you're building good credit. 21. 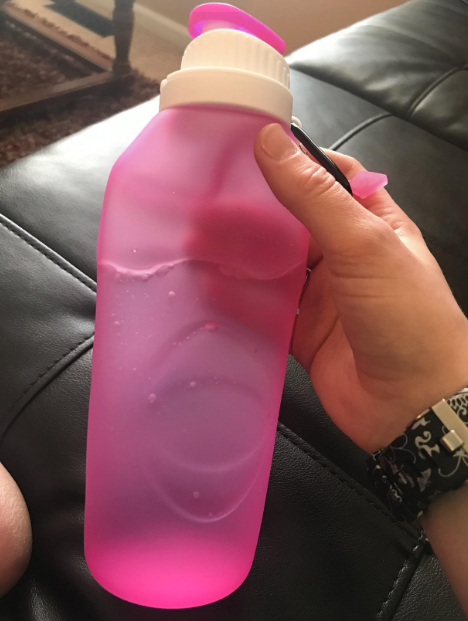 Bring a reusable water bottle everywhere you go so you don't have to buy one on impulse. 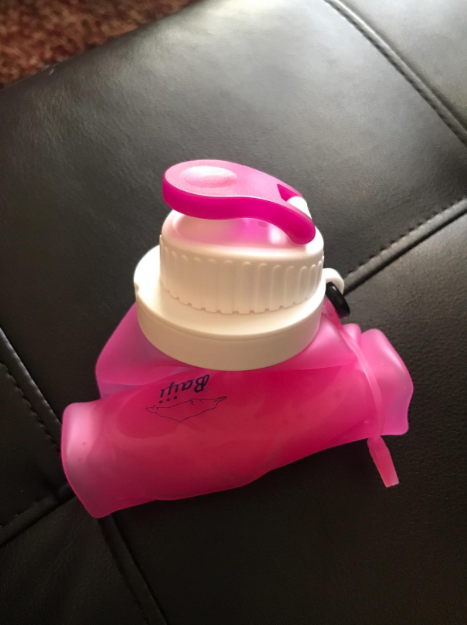 "Every time you go out (whether it be shopping, walking, etc) bring a reusable water bottle so if you get thirsty you don’t have to buy one on impulse and waste money." This collapsible water bottle won't weigh you down. Get it from Amazon for $14.97. 22. Learn how to make minor clothing alterations yourself so you don't have to throw things out as quickly as you otherwise would. Learn how to take in a waist and three other minor alterations here. 23. And make DIY gifts as an affordable alternative to buying new things for friends and family. "One year I put together a cookbook, and the next I made jam out of fruit that grew in my yard. I have a few succulents that I propagate from cuttings and I give people those for birthdays. This way, family and friends know we are thinking of them, but we aren’t spending money on gifts for people every month." Find ideas for DIY gifts here.